On October 28, 2012, NY Mennonite Conference licensed Diane Melchert as a missionary, evangelist and church planter in Oxford, England. She is originally from the Lowville area with close ties to the New Bremen congregation. She and her husband, Christopher Melchert, have lived in Oxford since 2000. 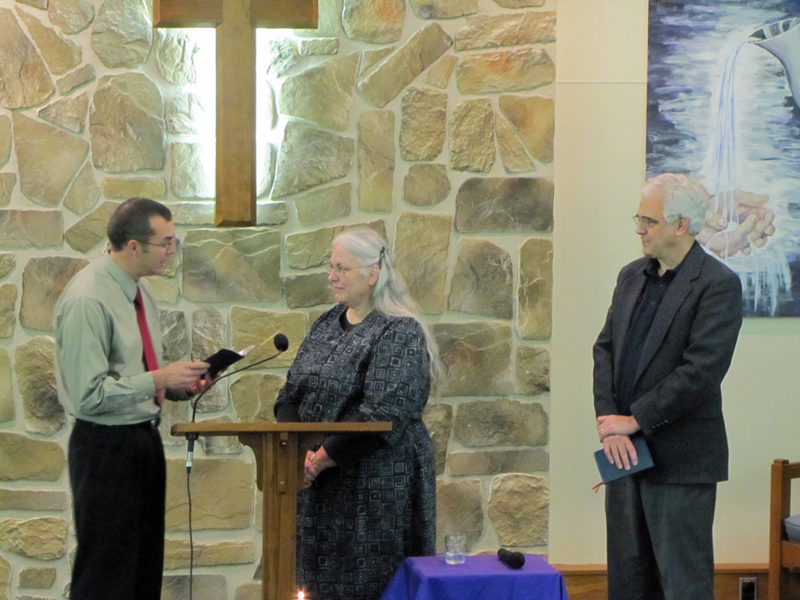 He holds an academic post, while Diane works to foster Christian community in the area. Diane leads a bi-weekly house church, relates to a Baptist congregation, facilitates an Oxford regional Anabaptist study group, and is a board member of the Menno House in the city of Birmingham, successor to the London Mennonite Center. Diane has an undergraduate degree in Bible, an M.Div. from Eastern Mennonite Seminary, and an MA in Biblical Studies from King’s College, London. Diane has a long history of church work in Mennonite and conservative Mennonite communities, including helping to start a congregation in West Philadelphia. For Diane, ministry in today’s secular society means finding ways of meeting people and helping lead them to faith outside of established churches and traditional church buildings. NYMC is excited to support Diane in this venture as she seeks to foster Anabaptist Christian community in Oxford.